After a four-month layoff, the Los Angeles Dodgers return to the field and kick off Cactus League play with a road matchup against the Chicago White Sox at Camelback Ranch. 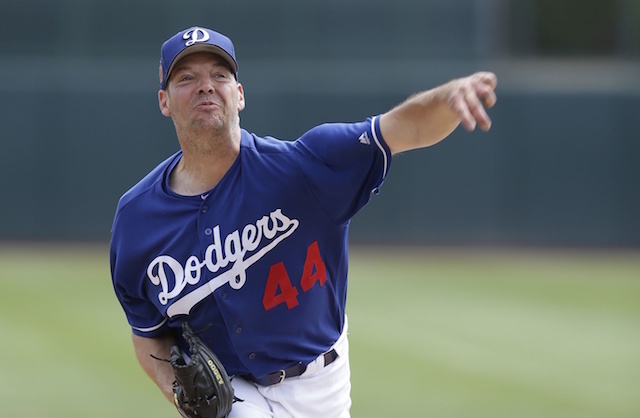 Making the first start of Spring Training is left-hander Rich Hill, who takes the spot of Daniel Corcino after having his outing pushed back a day due to inclement weather. The 38-year-old looks to build off a solid 2018 campaign in which he went 11-5 with a 3.66 ERA, 3.97 FIP and 1.12 WHIP over 132.2 innings pitched (25 games, 24 starts). Other Dodgers that are scheduled to pitch after Hill include Daniel Corcino, Jamie Schultz, Kevin Quackenbush, Josh Sborz, Joe Broussard and Yimi Garcia. The White Sox counter with Donn Roach, who hasn’t appeared in a Major League game since 2016 while still a member of the Seattle Mariners. He signed a Minor League contract with Chicago over the offseason. Over parts of three seasons, the 29-year-old owns a lifetime 3-1 record with a 5.77 ERA, 4.88 FIP, 1.77 WHIP and 20 strikeouts across 39 innings of work. Batting fifth for the Dodgers is Russell Martin, who is in a Los Angeles lineup for the first time since Aug. 3, 2010. Acquired from the Toronto Blue Jays over the offseason, the 36-year-old will compete with Austin Barnes for the bulk of opportunities at the catcher position. 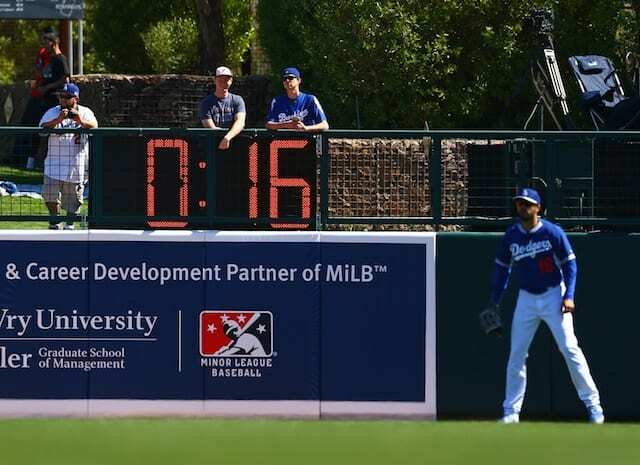 Dodgers manager Dave Roberts revealed that the number of at-bats each position player in the starting lineup receives will be contingent on the flow of the game. “Depending on how the first inning goes, I see position players getting a couple at-bats and then we have some good guys coming off the bench,” he said.